Anchored in the strong belief that brands –like people- have soul, we search for that intangible fiber that touches the lives of consumers creating relevant and unique business building communication ideas that bond them with brands as Soulmates. Discovery en Español follows six Hispanic family-owned businesses as they discover how to take their dreams to the next level…or lose it all, with the debut of EMPRENDEDORES. The original six-part series concept was created in collaboration with ALMA Advertising, one of the country's leading multicultural agencies, and explores family, heritage, hard work, and heartbreak as these Los Angeles business owners fight against the odds to achieve success in one of most competitive cities in the world. EMPRENDEDORES premieres exclusively on Discovery en Español Sunday, March 25 at 7 pm ET/8pm PT. "EMPRENDEDORES tells real-life stories behind the remarkable growth in Latino-owned businesses which have remained double or triple the national average for the past fifteen years," said David Tardio, Vice President of Ad Sales, Discovery U.S. Hispanic. "With each relatable and emotional story, we uncover the human drama, courage and ultimately, stories of triumph as these families build their businesses. It is this authenticity that our audiences love and with which our advertisers want to align their brands to connect with millions of viewers." Shot on location in Los Angeles, the inaugural season of EMPRENDEDORES will follow six diverse and dynamic businesses as they confront issues ranging from business planning and marketing to staffing and employee relations. Businesses profiled include a family-owned boxing gym, a coffee shop and a scooter sales business. Host, entrepreneur, former news anchor, and published author Angelica Atondo works with each of the business owners and their families to assess their unique situation. The hopeful entrepreneurs are then mentored by brothers Sean and Kenny Salas, two successful Hispanic businessmen and consultants, who delve into the family dynamics, their business operations, and provide much-needed guidance to help put them on the path to profitability. EMPRENDEDORES sponsor State Farm will help independent business owners achieve success with its SMART TIPS featuring techniques, ideas, and motivations via on-air segments and social media. Whether it is just an idea or an early stage business, State Farm provides tools and resources dedicated to launching and running a small business. In addition, series host Atondo will present a Facebook Live event with a successful Hispanic small business owner in Miami that is getting help from a State Farm agent. "At State Farm, we are committed to supporting the entrepreneurs and aspiring small business owners who contribute so much to the American economy and to the fabric of communities across the country," said Ed Gold, State Farm Media Director. The Ram Truck brand is also a sponsor. 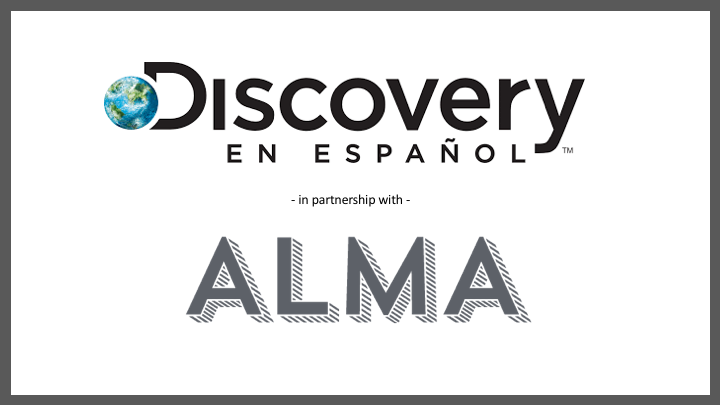 Discovery en Español developed EMPRENDEDORES through an alliance with ALMA Advertising. The series is the first project in an ongoing content development collaboration between the two organizations. "The team is extremely excited to partner with Discovery en Español on this amazing project as we share a passion for culturally driven storytelling to U.S. Hispanic audiences", said Isaac Mizrahi Co-President and Chief Operating Officer, ALMA. Viewers can take a deeper dive into the world of EMPRENDEDORES with additional features and content on Discovery en Español's social media platforms including behind the scenes and in-depth videos, business tips from the host and mentors, and interviews with talent. For more information, please follow us on Facebook at facebook.com/discoveryenespanol, Twitter @DiscoveryenESP, and Instagram @discoveryenespanol. Emmy Award-winning journalist, Angelica Atondo Nava, was born in Piquito, Sonora, Mexico. Angelica began her journey in media at a young age in radio in Mexico and continued as a young adult in Tucson, Arizona. Over the next few years, she held several positions in Arizona in television and radio. A few years later, Angelica was promoted to Univision's third-largest market as the lead news anchor for the Chicago station. With more than two decades of experience in the US Hispanic media, Angelica is also an entrepreneur and an author, she is currently in the process of finishing her third book. Angelica resides in Scottsdale, Arizona. Sean and Kenny Salas founded Camino Financial, an online lending platform for small businesses offering products and services uniquely designed for the largest growing underbanked segment in the United States - the Hispanic-owned businesses. Kenny and Sean take us on an adventure of hope and transformation, and although they have very different ways of seeing the world, what distinguishes these twin Harvard graduates is the fact that they perceive their differences as potential advantages rather than obstacles, and use them as powerful tools with their clients. Discovery en Español connects Spanish-speaking viewers in the U.S. to the world and all its wonder and possibilities. It provides quality programming focusing on bold storytelling across core genres including adventure, ingenuity, natural history, investigation and current affairs. Created by Discovery Communications, Discovery en Español is widely distributed on Hispanic tier packages throughout the country. It also reaches audiences across screens on the ''Discovery en Español GO''TV Everywhere app. For more information, please follow us on Facebook at facebook.com/discoveryenespanol, Twitter @DiscoveryenESP, and Instagram @discoveryenespanol. Nickolas Duarte: Harken Health "Revolution"